Big news for Kodi users! Google Assistant is coming to give a helping hand in picking what to watch next. According to the company, Kodi 18.0 will feature support for Google Assistant. Dubbed Leia in honor of the late Carrie Fisher, Kodi’s next version will feature plenty of new things to play with, but the Google Assistant support is the flashiest of them all. Google’s AI allows people to ask various general knowledge, to ask for specific songs to be played, to ask for weather info, or information about the day’s schedule, and so on. It is one of the most advanced AIs of its kind at the moment, going head to head with Amazon’s Alexa, and overpassing by far Apple’s Siri. Kodi 18 will allow Android TV users to search through their Kodi libraries with the help of Google Assistant, making the process increasingly easy. Up until now, while the AI did come built into Android TV, Kodi users couldn’t make use of its features. Another addition scheduled for delivery with the next Kodi version comes in the form of Kodi content being showcased in the top row on the recommendations of Android TV, alongside those from Netflix, YouTube, or Google Play TV. This is a great addition because you may or may not have the sequel to whatever you are watching available on the same platform, so displaying multiple options has excellent benefits. 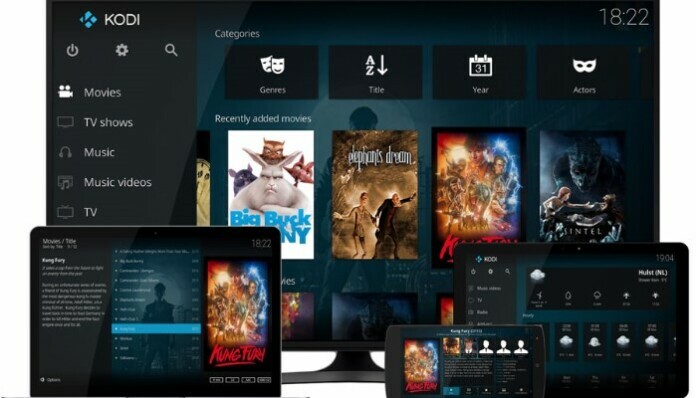 Kodi is an open-sourced media player that can be installed on numerous set-top boxes which can play local media files, as well as content stored online, or via network drives. The platform has somewhat of a reputation, mostly due to the numerous add-ons available online that allow users to stream premium content that typically requires payment, like certain movie channels, or sports channels. There have been quite a few copyright infringement lawsuits surrounding Kodi.